One of my first birding trips as a new birder was a winter journey to south Texas. Even common bird species received my close attention. For instance, every so often, a group of large, black, long-tailed birds would not be Great-tailed Grackles but a cluster of Groove-billed Anis. A flash of gray and white was usually a Northern Mockingbird, but it would sometimes turn out to be a Loggerhead Shrike (Lanius ludovicianus). Any decent view dissolves the similarities between shrikes and mockingbirds. Where a mockingbird is long and sleek, a shrike is muscular-looking and large-headed, hence the name loggerhead. A shrike also has a smart black mask, which the mockingbird lacks. The mask may have inspired the old name French Mockingbird, the implication being, I suppose, that a shrike’s appearance was that of a fancy mocker. Early Native Americans apparently had a hard time differentiating between the two, lumping both under a name that roughly translates as head-eater. They thought that the mockingbird acquired its ability to mimic other birds by eating their heads. Mockingbirds are talented singers but eat primarily insects and berries. Shrikes, on the other hand, are lousy vocalists. “Few descriptions of its notes are complimentary!” noted South Carolina ornithologist Alexander Sprunt. Being carnivorous, however, they do sometimes eat the heads of other birds, including mockingbirds. The Loggerhead Shrike is the only shrike found exclusively in North America. The bird ranges from central Canada to Mexico. Southern populations are resident and northern ones migratory. Our other shrike, the Northern Shrike, is widely distributed across the Northern Hemisphere. It is known as the Great Grey Shrike in the Old World. Shrikes are birds of open areas, often grasslands interspersed with shrubs and trees. Most of the world’s 31 species, including the Loggerhead and Northern, are patterned in black, white, and gray, and sometimes shades of brown. The majority are masked. All shrikes have a distinctive hooked bill with a small “tooth” on each side of the tip of the upper mandible. Known as tomial teeth, they fit neatly into grooves in the lower mandible. They are also found on some raptors. Whether on a shrike or a falcon, the teeth have the same purpose: to severe the spinal cord of their prey, usually at the neck. Insects form the bulk of the diet of shrikes, and they eat small rodents, birds, and reptiles. They have strong legs, but because they lack a raptor’s talons, they cannot always hold down food items. Instead, shrikes often impale prey on thorns or barbed wire, a practice that has earned them the nickname butcherbirds. Impaling serves two other purposes: Males frequently mark their territories with prey to show females that they can be good providers, and the cached food serves as reserves when meals are scarce. Unfortunately, the Loggerhead Shrike’s population is falling. 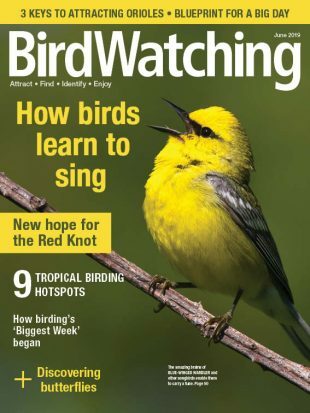 Breeding Bird Surveys have shown an annual drop of 3.5 percent since 1966. 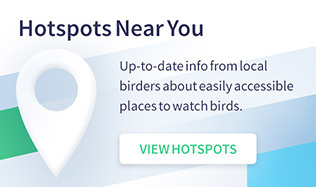 Christmas Bird Count data also reflect a dip, although the mingling of resident and migratory birds in southern states makes it difficult to determine which populations are driving the reduction. The Loggerhead includes seven to eleven subspecies, depending on who is doing the defining. 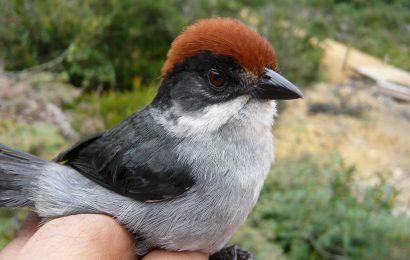 Two important subspecies are the Migrant Loggerhead Shrike (L. l. migrans), the migratory population of eastern states and Canada, and the San Clemente Loggerhead Shrike (L. l. mearnsi), a resident of San Clemente Island, one of the Channel Islands off the coast of southern California. The Migrant Loggerhead is listed as threatened or endangered in 14 states and endangered in Canada, and the San Clemente Loggerhead is considered federally endangered. Habitat loss is cited as a primary reason for waning shrike numbers. Shrikes probably increased after European immigrants cleared forests for farmland and grazing. The birds are particularly fond of pastures bordered by fencerows or scattered with shrubs and trees, which they require for hunting perches and nesting. 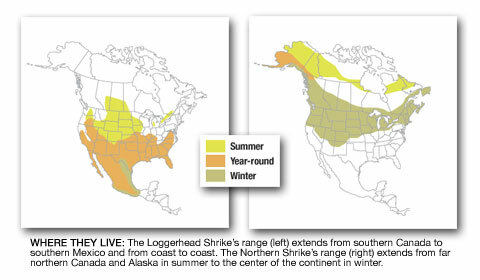 In the winter, shrikes use similar habitats but may utilize larger territories. Over-winter survival has been shown to be low for Loggerheads in some locations, which may be due to lack of appropriate habitat. It’s possible that the shrikes that are resident in the southern wintering grounds occupy the best habitat, leaving migrants to occupy suboptimal areas. Shrike-friendly open habitats are being lost to development and to natural succession of grassland to forest. Landowners today convert pastures, hay fields, and other agricultural lands to row crops or monocultures. New farming practices often advocate the elimination of hedgerows, fencerows, or trees and shrubs required by shrikes. In other places, non-native grass species have invaded pastures. The exotic plants conceal prey more than native bunch grasses do. Loggerheads like to hunt in areas of short grasses and forbs, typically perching no higher than 15 feet. Like a hawk, they swoop down on unsuspecting prey. They carry small food items, such as grasshoppers, a favorite meal, in the beak and larger items with the feet. If not eaten immediately, prey are wedged in a forked branch or impaled. Insects and toads or other vertebrates that contain poisonous or noxious substances may be cached for days, during which time they ostensibly dissipate or degrade to the point where the food is edible. The tactic may help shrikes render naturally toxic food harmless, but it does not help them avoid pesticides, which some researchers presume to be another factor in shrike declines. Because shrikes are higher up the food chain than other songbirds, they are at a higher risk of chemical exposure. It is unclear what role pesticides have played in falling shrike numbers, but evidence suggests that they have a negative impact. The farms, pastures, and roadsides that shrikes occupy are frequently sprayed to control grasshoppers and other insects. In some southern areas, pastures and agricultural areas are being treated with poisoned bait to kill fire ants, a relative newcomer to North America. Interestingly, in Indiana most shrikes are found on chemical-free Amish farms. Shrikes in Florida citrus groves, where chemical applications are high, were in poorer physical condition than shrikes in other habitats. The treatments certainly depress the abundance of prey, but they may also deliver pesticides directly to shrikes, with unknown consequences. For instance, although organochlorides (pesticides in the family that includes DDT) were banned decades ago, their residues have been present in Loggerhead Shrike fat and eggs as recently as the late 1990s. Studies have found that clutch sizes have declined since the chemicals were introduced, suggesting that pesticides may have played a role in shrike declines. A recent study in Illinois, however, discovered that while pesticide levels in shrike eggs have dropped since the 1970s, shrike numbers are still decreasing, indicating that pesticides are not the driving factor in shrinking populations in that state. Pesticides are not the only source of chemically induced threats. In Ontario, a substance applied to dirt roads to suppress dust was banned after it was found to contain toxins that may have affected people and birds. More worrisome is that dust suppressants attract insects to roads. Shrikes go after the bugs and are then struck by cars. 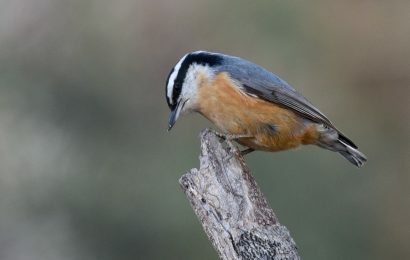 In addition to the availability of insects, roadsides are often favorite perch sites, and the low-flying habit of shrikes puts them in the path of cars and trucks. Young birds are especially vulnerable. Conservationists are working hard to help Loggerhead Shrikes. 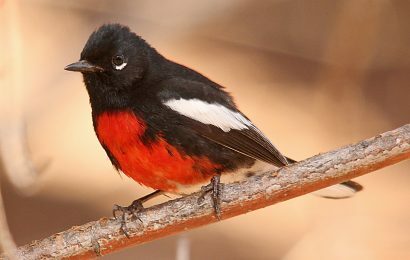 In Canada, the birds were listed as endangered in 1991. A recovery effort began in 1997, when fewer than 20 pairs were left in Ontario. It started with intensive monitoring, studies of habitat use, reproductive biology and success, and DNA analysis. Habitat has been restored with strong support from the Canadian Cattlemen’s Association. And a captive-rearing program has provided optimism that the birds can be saved. 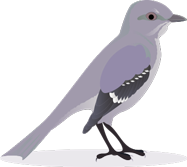 In the U.S., the only population with federal status is the San Clemente Loggerhead Shrike, and its situation is unusual in many ways. San Clemente Island, owned by the Navy, is home to a number of rare species of plants and animals. Military training activities, in particular bombing of favored breeding areas, compromised shrike numbers. A recovery plan was adopted in the late 1990s, when the population plummeted to fewer than 20 birds. Biologists began to study, for example, predator relationships between the shrike and the threatened Channel Island fox. They also learned that adding perch sites in shrike habitat increased foraging efficiency. Habitat is being restored, and a captive breeding program, after a rough start, has had good success. The current wild population is around 200 birds. Elsewhere in the U.S., lacking federal funding, individual states must manage their shrike populations. In the Upper Midwest, though, the few breeding pairs nest in scattered locations, making management per se nearly impossible. Other species with larger populations or federal threatened or endangered status often receive priority or more funding. Much still needs to be learned about the dynamics of Loggerhead Shrike population declines and how to reverse them. The lessons will perhaps aid in management of other decreasing shrike populations worldwide. Shrike experts in the International Shrike Working Group share their research findings and coordinate efforts. Clearly, many people are intrigued by shrikes and are working to understand, preserve, and protect this unique and distinctive family of birds. 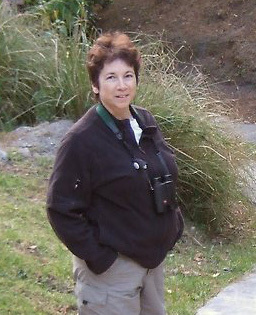 Julie Craves writes our “Since You Asked” column (p.10) and is supervisor of avian research at the Rouge River Bird Observatory in Dearborn, Michigan.